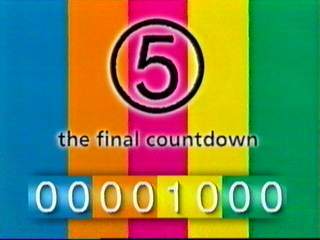 The UK's fifth terrestrial television station began broadcasting on Easter Sunday, 30-Mar-97. Test transmissions began in some areas from 2-Jan-97, though brief engineering tests were conducted at some sites in late '96. Until 19-Feb-97 details of these test transmissions could be found on CEEFAX P698. Unfortunately the BBC later withdrew this valuable resource, which was a pity as it was one of the few sources of useful information we had. Getting any kind of accurate information out of Channel 5 Broadcasting themselves was very difficult and I received a number of stories of apparent mis-information being put out by Ch5, both to the public and to their own retuners. For example, there had been persistent rumours about the test transmissions being on reduced power... At least one retuner was told this by Ch5 and this seemed to be one of Ch5's stock methods of deflecting criticism. There was, however, a short period of deliberate reduced power working from EMLEY MOOR in South Yorks. which I understand was to test how certain elements of the NTL transmission system reacted to fault conditions. I also detected short periods of reduced power from Croydon, possibly for the same reason. And this was the reaction! I must admit, I'm still intrigued... what were the other 33,000 suffering from?! By the final week of test transmissions all transmitters were receiving teletext. Shortly after that the header row was changed to something rather less informative. During the final day's test transmissions on Easter Sunday 30 March the 'full' interim teletext service went live at about 0900. Also at this time the teletext clock was finally set to BST, something which should have happened much earlier at 0100 GMT. Left is the full A-Z, or to be more precise, C-W index! An hour before launch at 1700 (5pm!) Channel 5 showed this countdown clock, accompanied by a ticking sound. Many thanks to Darren Meldrum for the screen captures. He has more at the Meldrum Home Page. There was a further short period of Channel 5 test transmissions on Astra transponder 63 (10.92075GHz horizontal) between about 0700 21 April - 1300 23 April 1997. These tests consisted of a similar promo video to the one used for the terrestrial tests, with the additional benefit of the Spice girls video! The Astra tests were transmitted without encryption, although Videocrypt 1 was used for the programme transmissions. 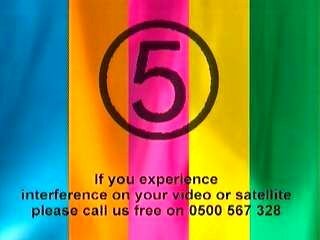 During summer '97 Channel 5 added ten further transmitters to its terrestrial network. Once again initial tests were locally generated and consisted of the familiar colour bar caption and tone, with no NICAM or teletext signals. Subsequent tests consisted of a programme feed with a superimposed caption. A full screen caption was also shown in place of commercial breaks. Channel 5 used one of their four virtual regions to supply this modified programme feed. 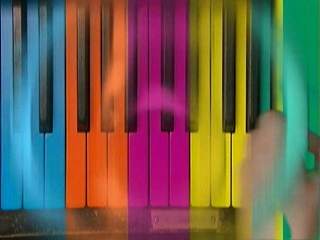 Some viewers noticed a problem with the NICAM audio of this feed, commenting that the sound had too much bass. Following up on these reports I contacted Channel 5 who promptly rectified the fault.